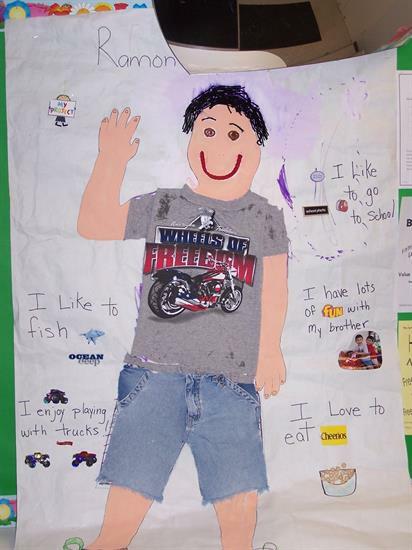 Get to know the new kiddos in your class with All About Me activities - perfect for back-to-school! Tami over at Learning and Teaching Preschoolers featured several ideas your class is sure to love. Each activity provides a great opportunity for the kids to get to know each other as well! Trace an outline of each student onto white butcher paper. Then allow them to begin completing the drawing of themselves with crayons or markers. Once your students have had a chance to add in the basics (clothes, face, hair, etc. ), roll the posters up and send them home with students with a letter asking families to help complete. 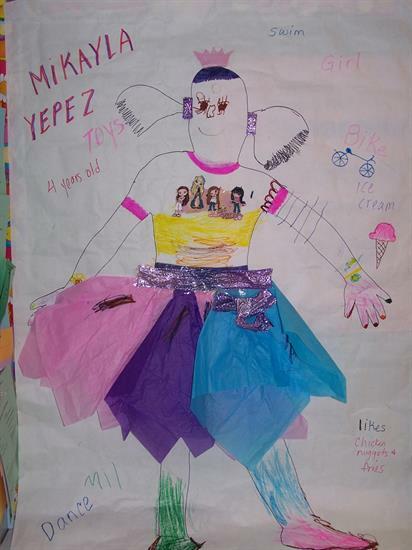 Ask them to help their child 'come-to-life' with little extras (one family added tissue paper to create a skirt) and to add little notes around the sides that describe their child (what do they enjoy eating, playing with, etc.). Give the families a couple days to complete the posters and then have your students bring them back for a show and tell. 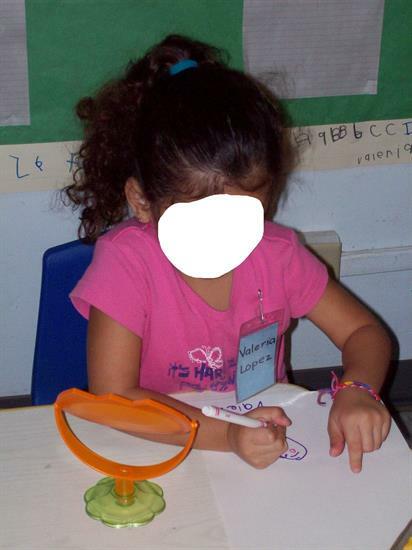 Allow each student time to explain what they added to the poster and why. A great chance to get to know your student's likes and dislikes! 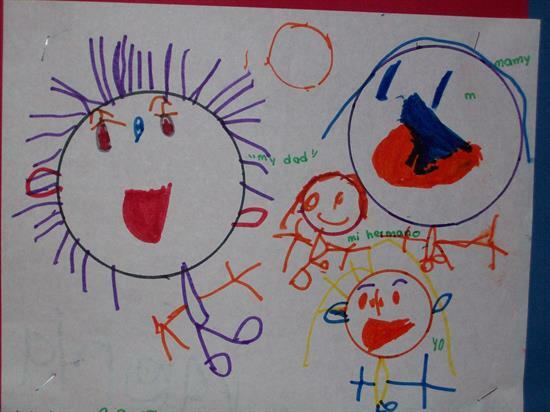 Provide each of your kiddos with a small mirror, drawing paper and markers or crayons and ask them to complete a self portrait. You should be able to find relatively cheap mirrors at your local dollar or big box store. When they're finished, hang their completed works of art with a clever saying (something like "Mrs. _______'s Superstars"). 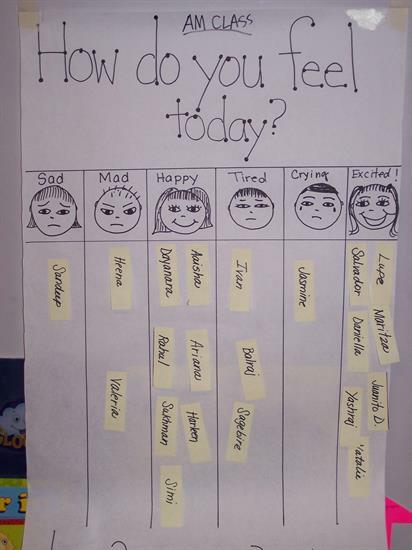 Take a poll of how your students are feeling on the first day of school and create a graph. It would be a cute idea to take the same poll after a week (when students are more comfortable) and compare the results together! 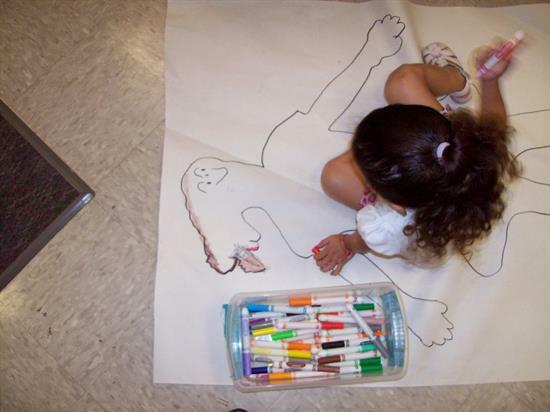 For additional ideas for your early childhood classroom, be sure to check out Lisa's blog Learning and Teaching Preschoolers! I'm Tami Sanders creator of Learning and Teaching with Preschoolers where the magic begins. I love creating magical moments and ideas that are sure to spark the interest of any young learner.